Interesting read! Komucha has been very popular in my hometown, i had no idea it was suppose to be a fountain of youth! I used to drink it all the time but stopped. I need to get back into it since it’s so good for you! This sounds amazing! I have RA and Fibromyalgia and I am always interested in learning new natural remedies to manage them. Great article! Wow, what a well written article about Kombucha Health Benefits! I’ve seen Debbie posting about her Kombucha all the time, I need to try some! It might be a great tool to help with endurance training! Excellent article. Sounds like I definitely should have had some kombucha on hand to help fight this awful flu I’ve had. I think I’m going to make my own through this article. Once I’m feeling better I’ll start the process. I have made kombucha a regular part of my diet since reading up about pro and prebiotics. I am still too intimidated to attempt to make it myself! ha! This is a spot-on post! 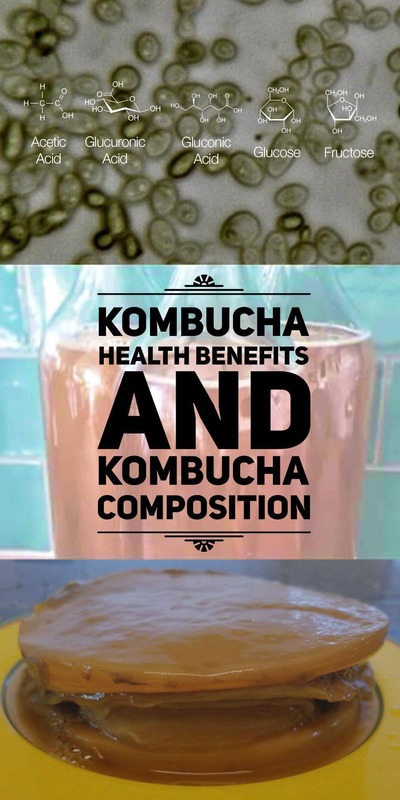 I love Kombucha and have always believed in it’s beneficial properties! I’m too afraid to make it myself but I definitely buy the drink in the stores! The “starter fluid”, a small amount of Kombucha to begin the fermentation with, raises the acidity of the sweet tea you start with and prevents any bad microorganisms from growing. The SCOBY forms a seal at the top of the mixture, and you keep it covered with a fine thread cloth, like Muslin, held in place with a rubber band, to keep anything bad out, like flies. I was also leary of making it myself and spent a couple of years reading about it and watching youtube videos. The more I learned about it, the more I found out how safe it was, so I finally decided to give it a try. The most surprising thing about starting to drink fresh homemade Kombucha is it seems to be stronger and more effective than any of the store-bought ones. None of the store bought ones made my stomach pain go away, but the homemade one did in only a couple of days. Right now I have 2 continuous brews going using Black Tea (liptons), as some of the beneficial items in Kombucha don’t even start to be produced in less than 3 weeks; as well as a batch of Oolong, Green, and Black Tea (liptions). I noticed a difference in how fast and thick the SCOBY grew in each of these (Oolong the fastest and thickest; Black I’d say was “normal”; and Green the slowest and thinnest). Interesting research on the possibility that Kombucha may have positive effects on cancer treatment. So much is unknown about cancer and there are so many kinds of cancer cells, more than I ever realized. Each cancer / cancer cell reacts differently to environmental factors, enzymes, and drugs. I checked to see if Kombucha was mentioned in the book I have on nutrition for cancer survivors. It isn’t. I do believe there is much more research to be done with natural remedies for many diseases. At one point during cancer treatment, my white blood cell count dipped to a near dangerously low level. Someone suggested I drink pineapple juice with honey and I thought it was the most ridiculous suggestion – likely and old wives tale. When I told my oncologist about the suggestion she said “Do it.” In other words, try it and see if it works. So I upped my intake of Vitamin C and PRESTO! my white blood cell count started going up. It sort of made me more of a believer that there may be something to the natural remedies that have been used for hundreds of years. Now if they would only find a real “cure”. I have been reading up on how to make this and all the benefits. A friend made it and let me try some. Now I am really going to have to make my own. Yeah! Kombucha is a very easy fermented drink to make. You can do it!